How Do I Use Treats to Train My Dog? 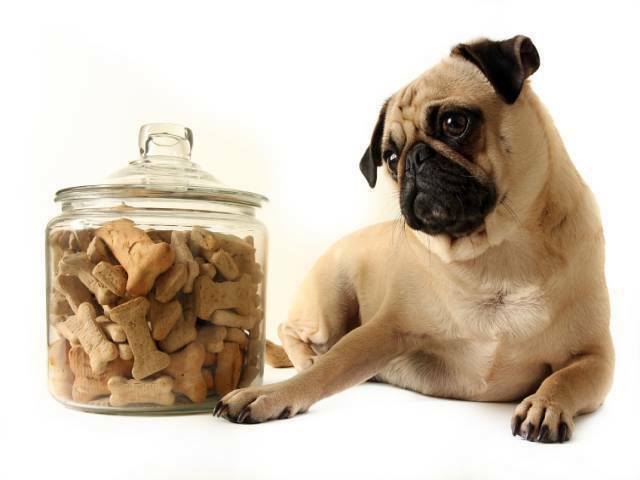 “How do I use treats to train my dog?”—That’s a great question. Treats can be a make or break when training your dog. They key is learning how to use them. After your dog obeys a command, reward them with a treat—immediately. If you want your dog to go to a certain area, use the treat (as a lure) and a verbal command (i.e. come) to get them from point A to B. Make note that at this stage treats should only be given when your dog obeys your commands the first time you give them. Never give your dog a treat after repeating a command. Eventually, your dog will need to learn how to be obedient without treats. The only was to get to this point is by gradually decreasing the amount of treats you give for obedience. Start with every other time and then gradually reduce treat giving more and more. If you’ve slowly reduced treats to the point where your dog no longer needs them to be obedient, it’s time to phase them out completely—they’re no longer needed as a training tool. Treats are a great way to train your dog. As you can now see, timing is very important. Follow the advice laid out in this post and you’ll get the results you want. If you have any questions or need assistance, please don’t hesitate to contact us. We got our 8 month old dog 10 days ago. Not sure what breed he is. We were told a Morkie but looks too big. We were also told he is potty trained but he has had several accidents both poo and pee in our house. Also, he seems very anxious and barks frequently. We would like to keep him, but these behaviors have to go.